The headline for this article may seem controversial, but that’s another way to state the pro-abortion views Supreme Court Justice Ruth Bader Ginsburg spouts in a new interview. “It makes no sense as a national policy to promote birth only among poor people,” Ginsburg says. This isn’t the first time she’s sounded in favor of eugenics. Ginsburg caused a stir in July 2009 when she made comments about the Roe v. Wade abortion case that appeared racist. In an interview with the New York Times, Ginsburg said made it appear she supported Roe for population control reasons targeting minorities. Previously, Ginsburg complained that the decision in the Roe v Wade case that allowed virtually unlimited abortions was too overreaching. She grumbled that it was decided in such a way that it made for an easy target for pro-life advocates complaining about its extremity. 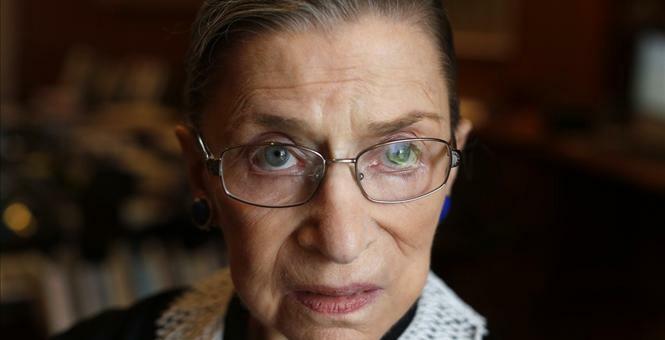 Ginsburg told students at Harvard earlier that Roe should have been argued incrementally.